Here is some improvisationally cut foundation that's then improvisationally pieced and joined back together. I want to do this x1000. Big and over the top scrappy. This is my "fabric sketch". Right now I'm appliquéing the edges down but I bet with some practice I could do this all on the machine. Spring is making the world bright and lovely. I've been thinking about fabric design and how I love shapes and color and so I made an entry into a recent Spoonflower challenge. 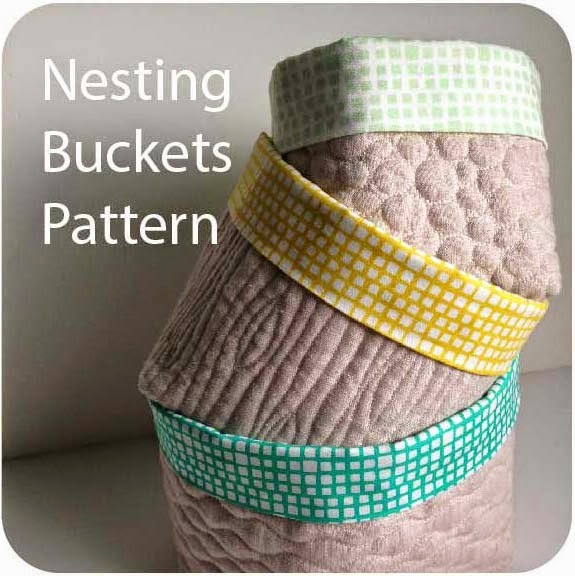 It's gotten a lot of love over at Spoonflower which felt really good! I have plenty of sketches of other design ideas, it's just a matter of time at the computer to get the repeats and colors right. Getting everything to fit just right is an interesting (sometimes frustrating and slow!) challenge. But I've enjoyed learning more. And it turns out the same skills are applicable elsewhere too: I was invited to turn some of my quilting designs into pantograph patterns! 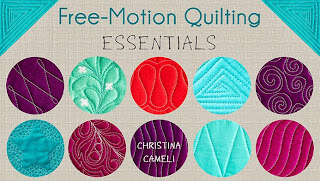 These are quilting designs that can be followed by long arm quilters manually or used digitally to finish quilts. I've made 5 so far, and hope to be able to show one on an actual quilt soon! (I don't own a long arm! Minor inconvenience...) If you have a long arm though, the designs are available through Willow Leaf Studio and I'd love to see what you quilt with them! It's fun to see how much there is to show for the last couple of months from playing around and following my curiosity. I'm looking forward to exploring and experimenting a bit more before I dive into my next big project, whatever that ends up being! Are you trying new things right now too? Spring seems to be full of that kind of energy! Another book? I'm so excited! 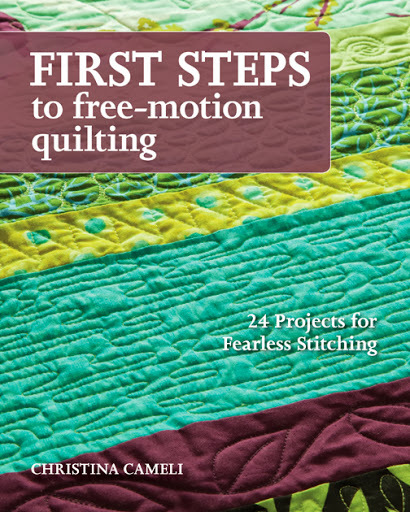 Wedge Quilt Workshop is one of my favorite books, so I'm looking forward to seeing what you have planned next! Your panto designs are on my shopping list! Very nice! I'm not really trying new things but Spring has gotten me thinking about it. Loved this post. Good to know you have a book to look out for but also the oddments/dreams are like seeds sown in quilters minds. 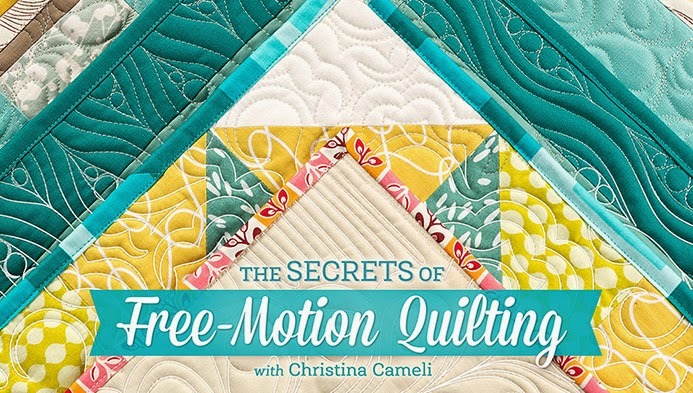 Loved your quilting designs but have no long arm either. Fabric designs great, too, my original degree being maths I liked the symmetry. Thank you. Lots of wonderful, positive Quilty goodness happening in your little corner of the world! I’m so pleased for you! 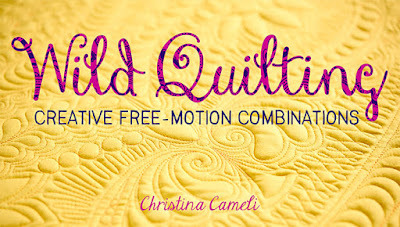 The "fabric sketch" reminds me of the piece from "Wild Quilting" that you did in the "integrated quilting" section. Did you applique the piece on that one also? Awesome pantos for longarmers. Congrats on those and another book in the works. Enjoy the creativity zone time. What a wonderful newsy post! 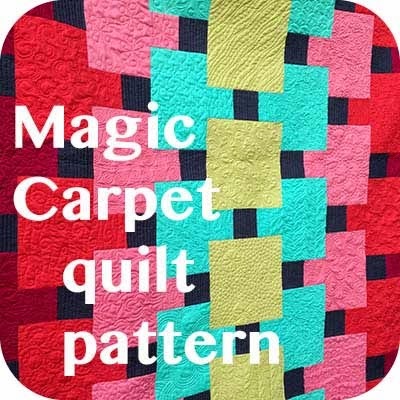 I think that is fabulous that you are able to create some pantos for longarm quilting - and even more so since you don't own one yourself! That is amazing. Keep up those great creative thoughts - I love and adore the over-the-top scrappy pieces you shared first. Can't wait to see where those go! Christina, a tip for your ‘improv’ piecing, if you try it on the machine you don’t have to turn both edges under, just one, leave your joining edge trimmed to 1/4” and put a few dots of fabric glue (very tiny dots....a little goes a long way) on the 1/4” flange and lay the adjoining piece on top and join with a decorative stitch....supper easy and great fun! Love your new pantos, Christina! Figment and Opal are my favorites. I'm looking forward to your next book. I absolutely love the improv scrappy piecing and the new pantos, especially "Ariel!" It is so wonderful to see you going more places with your creativity! Won't be long before a big fabric company wants you to design for them as those pieces are wonderful!! Congrats on your continued success. Congrats on finishing your book and on your new venture with Willow Leaf designing pantographs! I'm a new longarm owner but alas, I don't have the (OBSCENELY EXPENSIVE) computer robotics and I have discovered that following the pantograph lines manually is not as easy as it looks as a beginner. 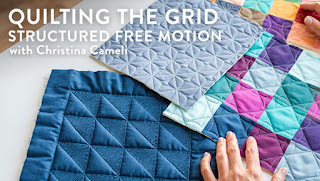 But I think your quilting designs are beautiful, and I love your improv piecing in progress, too! I really like the top scrappy waves. That quilt will be FUN! I love that scrappy piecing. Are you appliquing it down or cutting the background and piecing it in? Oh wow! I can't believe how many things you're doing, on top of being a midwife! You are one busy lady. But a new book, and fabric-designing, are both wonderful endeavors, especially when done by you! I'm looking forward to seeing all you have to share in the months ahead. Keep up the great work!